I don't think I have ever been so happy to be home! California is a place our family has grown to love--some of our dearest friends who have walked beside us in ministry for so many years provide fun, fellowship, food, the sharing of deep heart issues in true friendship--including a little silliness and all of us dancing to oldies together; feasting on homemade Mexican food; breakfasting Sunday morning after the conference at Crystal Cove; speaking and sharing our hearts with hundreds of women and getting up early and staying up way too late, eating a twilight, sunset picnic dinner with friends overlooking millions of city lights of those in the heart of the LA-Whittier area---before speaking to a group there; having a providential meeting with a sweet Chinese mom who is looking for some direction to teach parents in her church; so many more moments of giving and serving and loving and talking--but in the end, exhaustion sweeps over my body, and when I can get home, I am so grateful for a haven in which to rest and refresh. I think I am feeling my age and limitations. And I do so love being here with my sweet husband and girls. I always come away from conferences with new thoughts on my mind. Talking to so many sweet moms and sharing over scripture gives me a heart perspective. I think so many long for someone to give them a formula--just tell me exactly what to do and give me the rules and then I can get a grasp on my life and family and children. --He tells us to speak to our children every day about Him--the great shema of scripture in Deuteronomy 6:4-9. He tells us to train up our children in the way they should go. He gives us a commandment to teach our children to honor their mother and father. He tells us in Ephesians to raise up our children in the training and instruction of the Lord. But he does not ever say, "Spank for 45 minutes, carry a paddle or switch in your purse to be sure you don't miss any offense;(so grateful He doesn't correct every single sin or immature act I perform or I would just give up now.) or quiet times are so much more effective before 7 in the morning; or women have no ability to teach young men (have you seen Proverbs 8 or 9 or read about Timothy?) Or you can tell a woman's spirituality by looking at whether their drawers are neat and clean on the inside--really? What scripture and verse is that? He doesn't even say that all children will learn best if they study Latin or Hebrew. We have great freedom to live with our own personality limitations, our own family puzzle; our own dreams. I often have women who say, "How did you raise your children? What rules did you keep? Why do they love you and love the Lord and how did you teach them to trust you?" Many of these questions I covered in Ministry of Motherhood by studying the life of Christ in relationship to His disciples. He loved them, spoke to them morning, noon and night. He served them by feeding them, healing their relatives; He modeled to them what true Christianity would be by touching children and giving them His time and blessing them; touching lepers; giving prostitutes and women His time and affirmation;--it was a relationship to people in his life--a love for them, a compassion for them--not a list of rules on how to be sure you are acting righteously. These the Pharisees provided, not Jesus. And so, we sought to emulate Christ with our children. We sought to understand their unique personalities--extroverts need to talk more, have more activities, include doing in their lives; introverts need more time alone to ponder, create, go into their inner vortex. Some have a larger capacity to work hard, others are more immature. We are to accept and cooperate with their God given personalities because God has a work for them to do in this world according to His design of their lives. Children and adults are not cookie cutter copies of each other who can all be handled the same way--as a matter of fact, if we are handled as robots, we will rebel at the impersonal ways of being treated. We all long for a mentor who "gets" us--knows us and understands us and can reach our heart's passions and dreams. Clay and I have seen the Lord use so many people in ministry who come from a vastly differing set of philosophies. God uses people all over the world who are limited in knowledge--but still He uses them, and so, even Clay and I are used, despite the fact that we are always growing in wisdom, perspective and maturity. Speaking all over the world in missions has shown us that each culture, each people is different in their application to wisdom. Not just one way of doing things. And often, our speakers at our conferences, often reflect a philosophy different than our own. But we always seek to choose speakers who walk with God, who love Him and care about scripture, knowing that they may have an insight, a bit of wisdom to pass on, a principle we have never used. I think wise women are those who copy a lot of other wise women, but in the end, go home and say, "What applies to me and what can I follow in faith? and what is not applicable to my own Biblical, faith-based philosophy?" But we can trust God with the tension of using others who walk with Him, and cover them and ourselves with grace. We choose many speakers in our conferences over a season of conferences, but we want our moms to listen, pray, discuss, seek the word, and then use what we said or others said if it encourages. 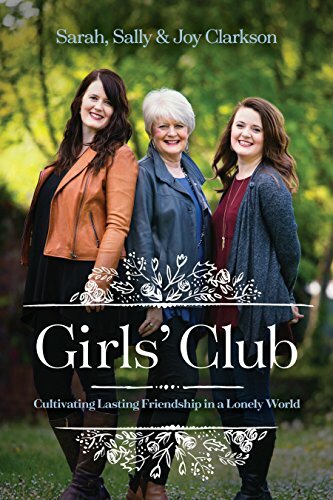 But our goal is to help women learn to think Biblically and then follow what they think is sound, and usable in their own families, by faith, not living by formula. But, it does require faith to live in intimacy with the living God. He is wild and wise and loving and deeply desirous of our personal, passionate love--not our robotic keeping of rules. So we try to teach people to live in the tension between faith and reality--the supernatural and the mundane. As to how this was lived out in our family, it was an ever-growing understanding of His presence in our lives and home. 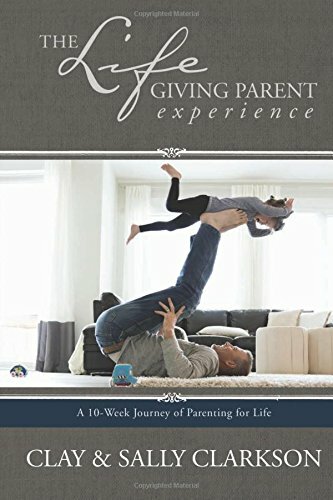 We deeply loved and related to our children, and consequently, in their teen years, we found that our relationship was built on trust from a lifetime of building it on trust. They would come to us and tell us if they were confronted by things or people in culture that were offensive or immoral and we would help them figure out the way to walk with God through these passages. We did not have to manage them or their cell phones or computers, we entrusted them with growing responsibility as they showed maturity. When we gave them a car to drive and a cell phone and computer to use, we also gave them the principles, from the time they were little, to be able to handle these issues in a mature way. "We cannot make you into holy people, but God has given you a capacity to do great things, if you will respond to our training and the wisdom He has given us in scripture. It is natural to sin, it is supernatural to w alk by faith and to live in unconditional love with people. Trusting God and choosing to become great in character is an issue of your heart. We will train and teach you, but it is our hope that you will respond to God and our training, because we believe He wants to build you into Godly leaders. We know He will work greater things in yourselves than He has in us, because of HIs design on your life--if you engage in loving Him." would be our mantra. "He who is faithful in small things will be faithful in much." In other words, if they learned to use something responsibly then they would receive more responsibility and trust. When our little ones helped around the house or helped take care of a sibling or became competent at cleaning up a whole kitchen after a Bible study dinner, they would earn the right to stay up later or have a movie night with their own friends, since they had been faithful to serve us. And so our paradigm worked through our educational philosophy--expose them to life, work, great thinkers, writers, artists, host great discussions at the dinner table and trust the Holy Spirit to give them a love for learning, an excellence in character, abilities to excel in their work, keep chores going. And communicate this confidence you have in them--and a faith in God to use a normal home in which to cultivate genius, compassion, vision as He has used homes for all of history. 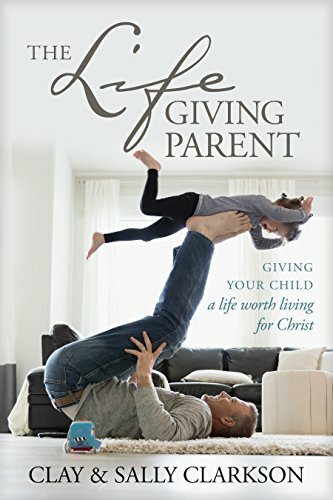 And then watch God work-- a release of His power in our home, and us seeking to celebrate life in the midst of whatever a day brings our way--seeing this day as the training grounds God uses to prepare our children for adulthood and leaving the rest in His hands--freedom to live by our limitations by faith and watching God do amazing things. And for us, it worked--this God-filled, living, loving, life-style. Wonderful, vibrant, loving children who are passionate and pursuing life--not perfect, but growing and maturing each day and able to grapple in the world as it comes to them. Jesus's desire was to use normal people to be responsible for His kingdom work. He entrusted the Great Commission into the hands of unsophisticated fishermen, normal men, while knowing they would not be perfect or always wise--He trusted the Holy Spirit in their lives to be able to lead them. The glory of God is resting in normal men to accomplish the supernatural through the natural. He who resides in us uses us as a vessel of His greatness and excellence. This living of faith brings so much more freedom, so much more joy, the ability to imagine that we really can handle the issues that today brings, because He is here to help, guide and provide--He has not given us more to do than we can do--we can rest in His will every day and know that in faith, what we have to give will be enough. May His grace and peace cover us this day. Newer PostWhat voices are talking to you in your head?